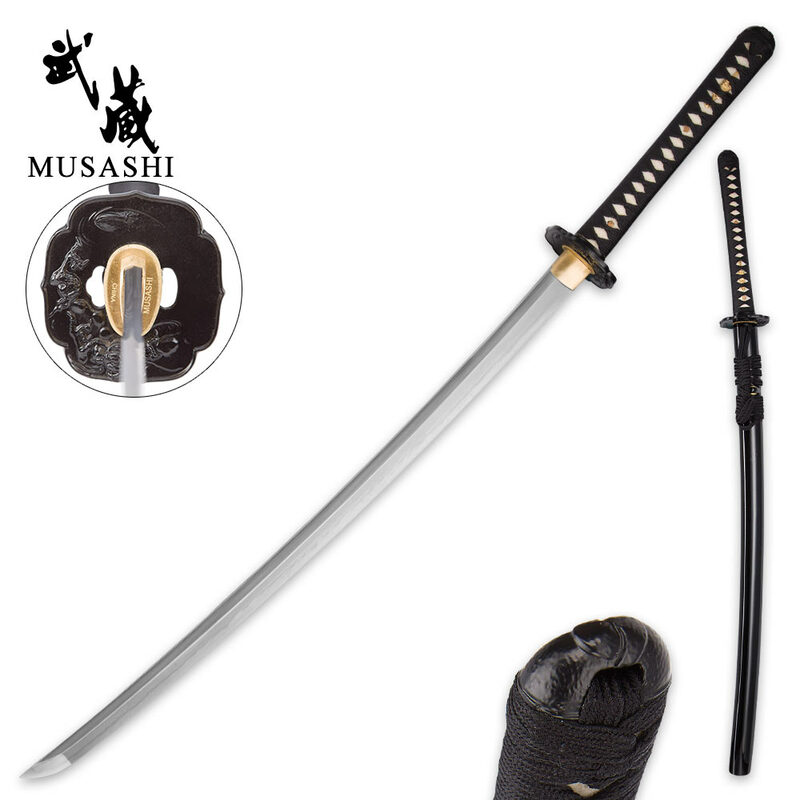 Musashi is a brand you can count on to be high-quality, high-performance and swords that would make legendary swordsman, Miyamoto Musashi, proud. 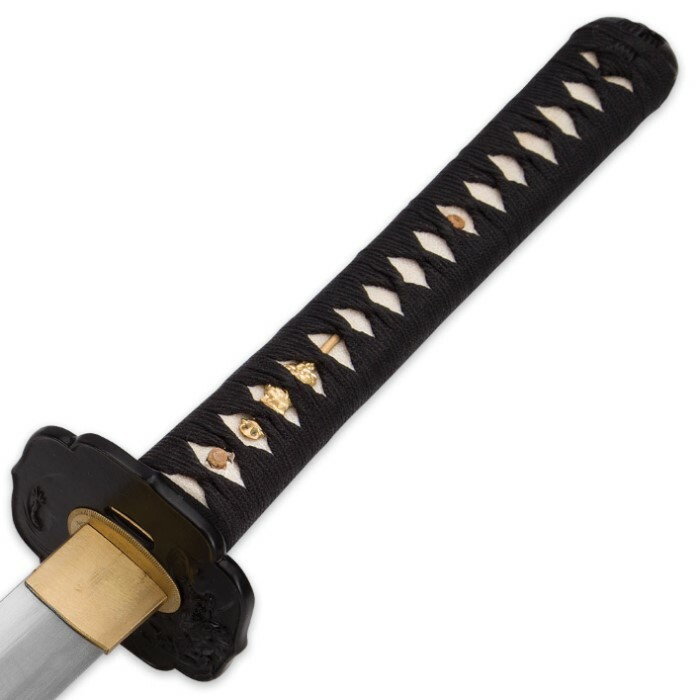 The black decorative tsuba and the hardwood handle with traditional black nylon cord wrap is exceptional and the 28” hand forged 1060 high carbon steel blade is razor sharp. 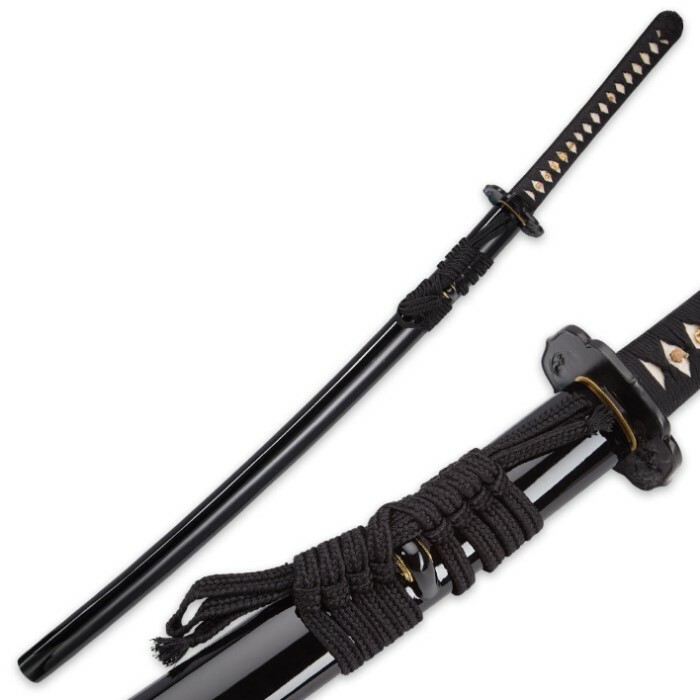 A black lacquered scabbard houses the blade and it is protected by a decorative bag and box. This sword also comes with a cleaning and maintenance kit.